If you're looking for a reliable Fort Lauderdale Auto Accident Attorney, look no further than the Law Offices of Robert E. Gluck, P.A. 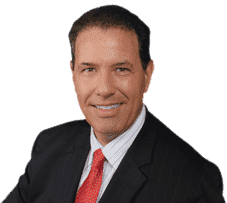 Robert Gluck has been practicing law since 1989 and has the experience to provide you with the legal guidance and representation you need. If you were injured as a result of an auto accident that wasn't your fault, he can help you. Before a case can be made, Fort Lauderdale Auto Accident Attorney Robert Gluck must first prove negligence existed during the time of your accident. Negligence is the legal standard of care one must follow to avoid injury to others. If he can prove negligence, he will be able to move forward with your case and help you get the financial compensation you deserve. It's important to hire your Fort Lauderdale Auto Accident Attorney immediately after your accident so he can start his investigation. He will gather all the necessary evidence to build a strong case for you, including finding and speaking with witnesses, taking photographs of the accident scene, and securing any available video footage. Studies have shown that you may be able to get a higher compensation if you are represented by a Fort Lauderdale Auto Accident Attorney than if you try to handle the legal proceedings on your own. Robert Gluck will fight hard for you and be the voice you need. He'll take all the burden off of you so you can just focus completely on your recovery.